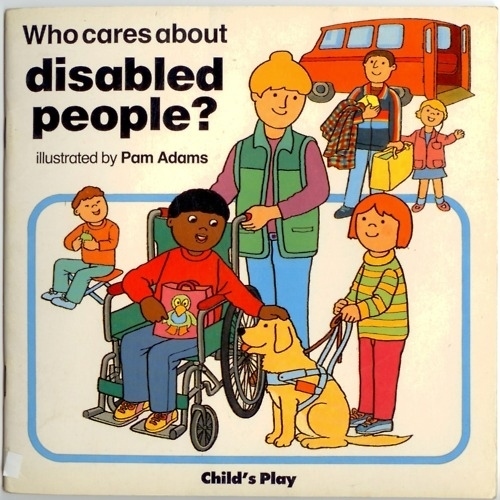 Why Do We Need Disabled People? In Honor of my best friend Brian Rogers. I just found out this morning (11-16-15) that one of my best friends Brian Rogers died yesterday at 3:30 PM. Brian was 68 years old. I want to re-post this blog in his honor. Brian reviewed and gave me input on this blog and was very proud of it. The title might sound insulting so I encourage you to read it. You will find out what a remarkable man Brian was and how much he loved life. What happened was that Hitler had the courage of his convictions and back here in the USA, we balked at the idea of killing people for the good of the country. Think of the money and expenses and problems that Hitler’s ideas could have saved! Think of the productivity improvements that a Master Race of Americans could have created! Well, at least we don’t have to pay these gimps minimum wage. Section 14(c) of the Fair Labor Standards Act authorizes employers, after receiving a certificate from the Wage and Hour Division, to pay special minimum wages – wages less than the Federal minimum wage – to workers who have disabilities for the work being performed. Hell, you can’t trust all those stupid studies done by bleeding heart liberals. They would say anything to protect a few gimps. What if they can be productive workers? What if they do work as hard as or even harder than “normal” people? They still take up much of our hard earned tax dollars for their health problems. They are a big drain on our already overtaxed healthcare system. Look at it this way, if we did not have to pay for medical care for the disabled, we would have a lot more money to spend on those of us who need medical care for legitimate reasons like: Smoking, alcoholism, obesity and gunshot wounds. Heck, I can’t even get up close to the emergency room in the hospital when my buddy accidently shoots me, because I don’t have a handicapped parking sticker. Too many stores have too many parking places for the disabled. If we had less disabled, costs of handicapped parking signs would drop precipitously. A 2014 study by the private American foundation The Commonwealth Fund found that although the U.S. health care system is the most expensive in the world, it ranks last on most dimensions of performance when compared with Australia, Canada, France, Germany, the Netherlands, New Zealand, Norway, Sweden and the United Kingdom. The study found that the United States failed to achieve better outcomes than other countries, and is last or near last in terms of access, efficiency and equity. Study data came from an international survey of patients and primary care physicians, as well as information on health care outcomes from The Commonwealth Fund, the World Health Organization, and the Organization for Economic Cooperation and Development. Wow, I guess this means they must have less retards and cripples in these other countries or are they implying that mismanagement and inefficiency are the true causes of high health care costs in the USA? Well, you know those Europeans; most of them are commies and socialists. I have been friends with Brian Rogers for over 5 years now. Four or five times a week at the Frederic Library and often at his house we meet to discuss politics and other assorted subjects. Brian has traveled a good deal of America, has met several presidents, ran major university programs and later in his life supported himself by becoming a Grant Writer. Brian was Volunteer of the Year in Frederic in 1990 and has written numerous grants that have benefited his community. From funding for the Frederic Library to computers for schools, when Brian sees a need he takes it as a challenge to help others. 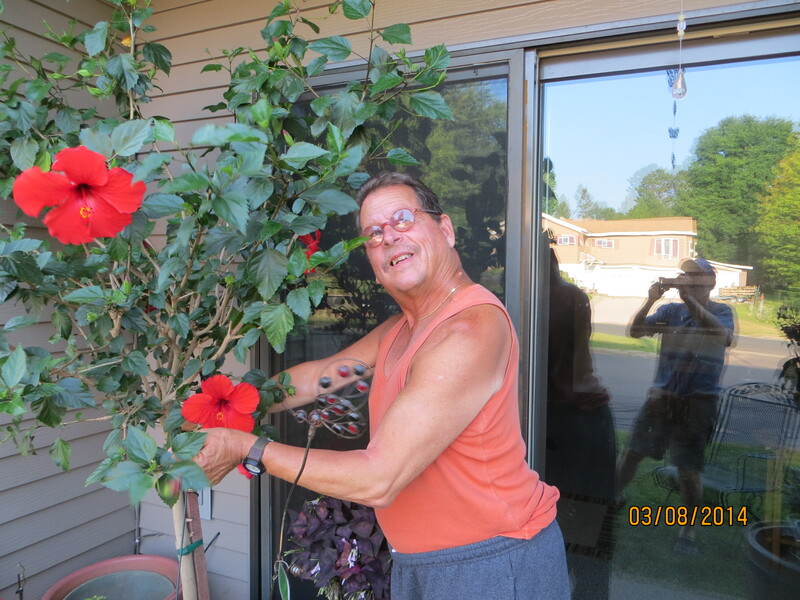 Having faced Cerebral Palsy all his life and now into his later sixties, Brian remains independent and pays his own way. He is proud that he has never been on unemployment a day in his life. There are not many “abled” bodied people who could make that claim. Every time I talk to Brian he is full of ideas that could help other disabled as well as other “abled” people. He is currently working on zippers and clothing to help protect disabled people from falls. He recently proposed a grant to help men facing aging and dealing with the transition from an active to an inactive lifestyle. Yesterday morning Brian fell and bruised himself rather badly. Walking is not and has never been easy for Brian. I have noticed that Brian has had many falls over the years and sometimes it seems to me that with age they are getting more painful and more harmful. Nevertheless, Brian goes out every day and navigates a world with numerous barriers and obstacles that many of us take for granted. He remains positive and optimistic about life and his ability to make a difference in the world. Brian says, we are all disabled by one problem or another. How many people do you know who do not have some type of medical condition that impairs their functioning? Disability is not a disease. It is a fact of life that as Brian states can happen to any us in a heartbeat. It is an inevitability that will embrace every one of us as we age and grow older. Do you make time to help others? Do you help those who are less abled than you are? If you are disabled, do you still try to remain positive about life? Do you try to make a difference in the world not just for abled bodied people but for all people? Do you speak out against discrimination towards people who are disabled? 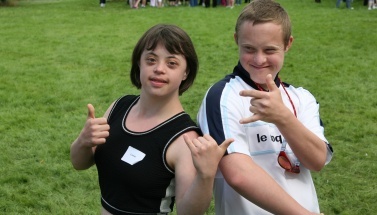 Do you speak out against people who denigrate and disparage disabled people with names like gimps and retards? To a purer air and a broader view. And the vanquished ills that we hourly meet. Our lives are trailing the sordid dust. While our feet still cling to the heavy clay. Wings for the angels, but feet for men! But our feet must rise, or we fall again. And the sleeper wakes on his pillow of stone. And we mount to its summit, round by round. Day 320 of the Calendar Year: Crazy Time. For the next 45 days until the New Year of 2016, I am going to post some blogs on the subject of Time and its implications for our lives. I will post one a day for each day of the remaining 2015 year. 2. Senseless; impractical; totally unsound: a crazy scheme. 3. Informal. Intensely enthusiastic; passionately excited: crazy about baseball. No one wants the first definition to apply to them, but the second definition has often been applied to geniuses and entrepreneurs. The third and fourth definitions can probably be applied to all of us at one time or another. Who among us is not crazy about something? Thus, craziness is simply a state of being that others do not share at that time. This definition can also be considered the essence of nonconformity. Those who dance to their own drummers seldom share the same state of being that others do. Thus, going a little crazy might be good not only for our spirit but also for our creative side. Who among us would venture out and do anything really unique or different if we were not willing to flaunt convention and ignore practical reality? In fact, craziness might just be the sine qua non of the adventurous and spirited. Have you ever been called crazy? Why? Do you ever indulge in activities that others think are crazy? 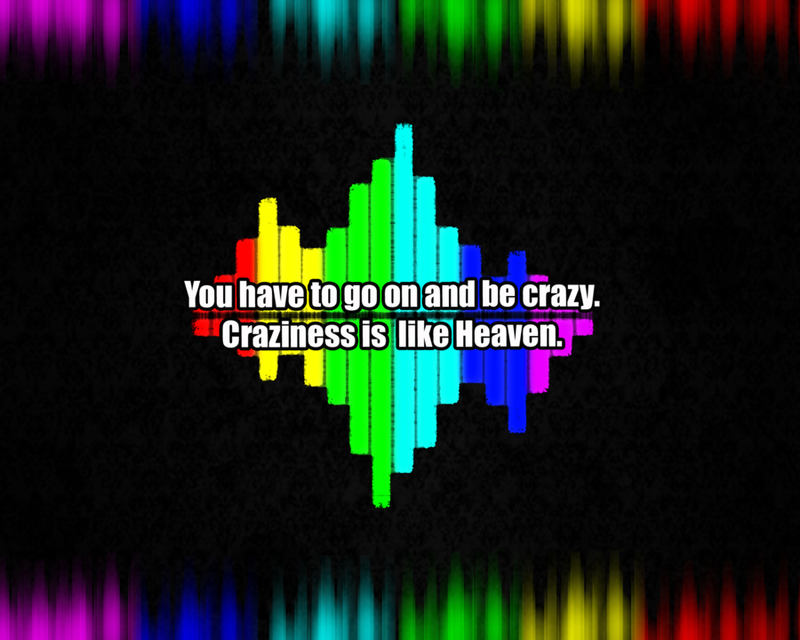 What would your life be like if you were just a little more crazy? What if you danced a little crazier? Acted a little crazier? Dressed a little crazier? 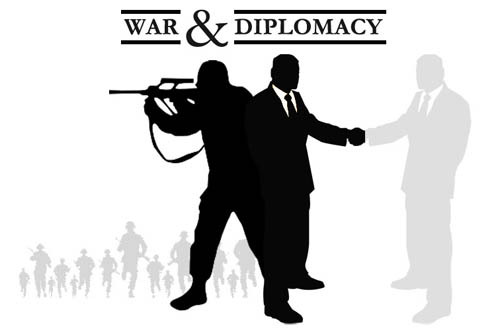 Towards a Policy of Diplomacy – Not War! I was going to call this blog “how to get along with other countries?” But the above title seemed more erudite and impressive. As I start to write this blog, I wonder if anyone has a “policy” of diplomacy. I will soon Google it to find out but first allow me to say a few words on the subject. I would like to start out with no preconceived bias on the issue. Of course, this could also subject you to my gross stupidity. I may at best reinvent the wheel. For the past two years, I have been reading the journal Foreign Affairs. I am and continue to be surprised by what I perceive as the impressive understanding that the writers in this journal have concerning a broad array of subjects. In each issue you may find articles dealing with war, politics, globalization, economics, environment and many other topics. The articles often are juxtaposed with dissenting positions and many times there are follow-ups to previous articles with critiques and rebuttals. The level of scholarship and experience of the typical author is almost always impressive. If I sound like an advertisement for the journal, I am not ashamed to recommend it. Reading this journal, I am relieved to find that many other people have seen the stupidity and arrogance that I often see in our foreign policy. Let me state clearly though, that while the USA is guilty of many sins, I have been to thirty three other countries and I have seen the same stupidity and arrogance in every other country as well. So on the one hand, it seems there are experts out there who have some really good advice and answers on what or how certain international affairs and problems should or could be handled. On the other hand, it seems no one listens to the experts and instead foreign policy is based largely on emotions, machismo, avarice and stupidity. I read recently that in 1928, a pact was passed condemning war as an instrument of foreign policy. A total of sixty two countries signed the Pact. In the USA, the Senate approved the pact by a vote of 85-1 with only one dissenting opinion. Well, something most have been forgotten along the way. How many wars have we had since 1928? If my counting is correct, we have had 102 wars in the world since the pact was signed. The web site Wars and Casualties of the 20th and 21st Centuries lists all the wars and deaths since 1900 throughout the world. Thus, what seems like a very good idea (abolishing war as an instrument of foreign policy) is almost totally ignored. Millions of people have been and still are being killed as the USA and other nations pursue war as an instrument of policy. In some cases, it is advocated without any deference to reason as an immediate and primary instrument of policy. First strikes and preemptive attacks are vastly more popular these days as the world deals with a host of international problems. When Obama’s aide Marie Harf discussed other options than bombing terrorists as a solution to some of the strife in the Mideast she was trounced in the press and by many politicians as dumb and naïve. However, when the war hawks in the USA Congress or any other nation are quick to cry War, nary a voice can be heard that challenges the sanity or even efficacy of war as an instrument of policy. The world seems to believe that if we bomb the village, kill all the people and destroy any and all infrastructure, peace can then be resumed and we can all sleep safely and soundly tonight and forevermore. Well, now that you have heard some of my thoughts and opinions on the subject of war and foreign policy, let us see what Google turns up when I type in the phrase “Policy of diplomacy.” I am going to enter it in brackets so it regards the term as one concept. [PDF]Atomic Bomb: Ultimate Failure of Diplomacy – Library library.uoregon.edu/ec/e-asia/readb/93s25.pdf University of Oregon by S Frank – ‎Cited by 1 – ‎Related articles conceived policy of diplomacy with both Japan and the Soviet Union. Before I present my case, however, it is important to step back and revisit the Anglo-. Looking at these results, I find that from 1988 in the first Bush administration through the Obama administration there is talk of a “new” policy of diplomacy. It seems as though both Bush and Obama decided that maybe war was not as good an idea as diplomacy. However, I do not find a specific written and described “Policy of Diplomacy.” What is this new diplomacy that they are or have brought to the world? Just for the sake of semantics, I went back to Google and tried typing in “Policy for Diplomacy.” Hits went down from 213,000 to 17,800. I perused several of the links and I still could not find any specific policy either for or of diplomacy. So let us try to formulate our own policy. Here are some key policy points that I think should make up such a policy. These policy statements seem self-explanatory and are only meant as a start towards an International Policy of Diplomacy. Some will argue that they are naïve and that is probably true. It is undoubtedly “optimistic” to presume that war will cease to be a policy of diplomacy. There is a saying that I like though. It goes: “Hope springs eternal in the human breast.” We need to start thinking about peace as a normal state of the world. All too often, it appears that war is the normal state and peace only an interlude between wars. What can we do to help stop war? Can you support a policy of NO WAR FOR ANY REASON? Why or why not? 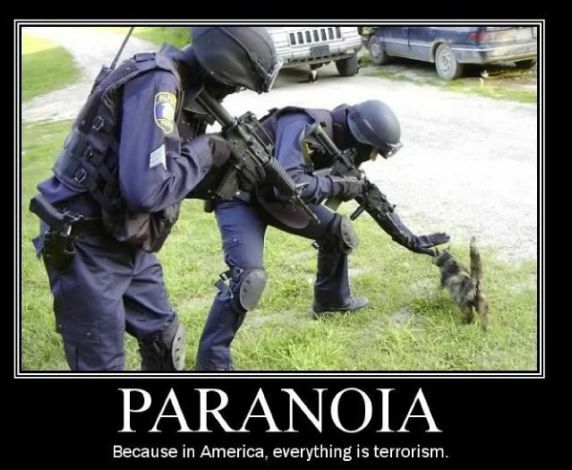 What if we are attacked first? Can we stop war from being an instrument of policy? What ideas do you suggest? What policies do you think we should have in our new Policy of Diplomacy?